The C3 Women's Ministry exists to bring women together. We connect and share with one another as we build friendships. Our goal is to promote spiritual growth within ourselves as we help one another, and serve others in our community. Ultimately, we exist to share the love of Jesus and be a light in the darkness! Women of every age and place in life are invited to join together in a variety of activities for the women of C3. Below is a list of connecting points for women here at C3! 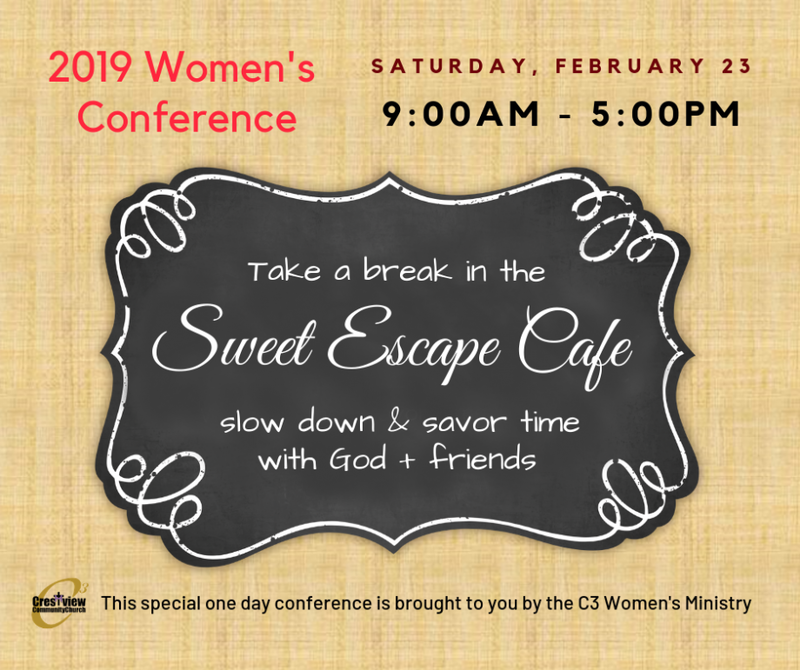 Event Theme: Sweet Escape Cafe - an experience where women slow down and savor time with God and each other. Just like a cozy day at your favorite coffee shop, it allows women to find rest, laugh, share stories, and grow closer to each other and God. If you have questions or want to get involved in women's ministry at C3, contact Missy Freels at tmblmf@comcast.net.